On peaceful plains, where sylvan honours crown! And plans of increase mark your passing hours. 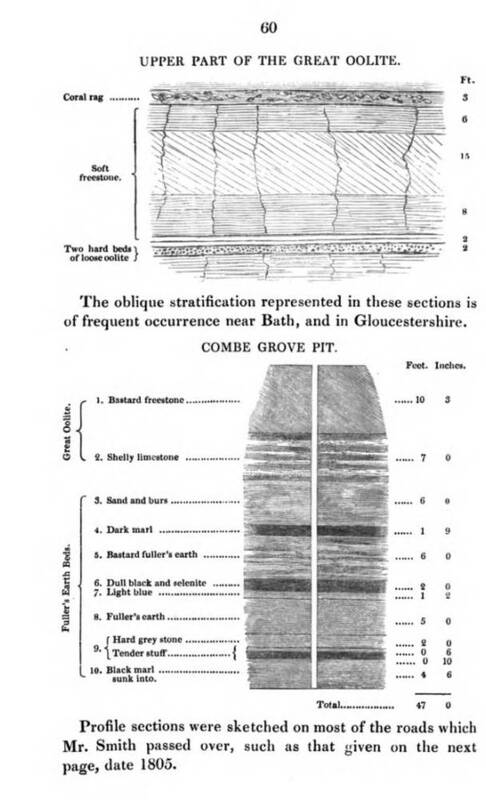 *Mr. SMITH, an ingenious land-surveyor, of Mitford near Bath, has studied with success this subject, and the publick, it is hoped, will ere long be benefited by a publication of his important discoveries respecting the general laws of nature in the arrangement and external signs of under-strata, inclusive of fossils and minerals. (Matthews, 65: quoted by Torrens, p. 237). he poem celebrates the progress of the eighteenth-century agrarian revolution, the note paying tribute to William Smith’s work as a land surveyor, work that led to Adam Sedgwick’s hailing him in 1831 as ‘the father of English geology’ (Gillispie, 83-85). Smith, who was born in the Oxfordshire hamlet of Churchill, the son of that most essential inhabitant of traditional English village life — the blacksmith. In many ways, blacksmiths were the precursors of the ironmasters central to the Industrial Revolution. They worked in a forge fueled by charcoal and consisting of an open hearth with a bellows attached for heating iron to render it malleable — a traditional process which the Darbys and others developed to relative perfection. 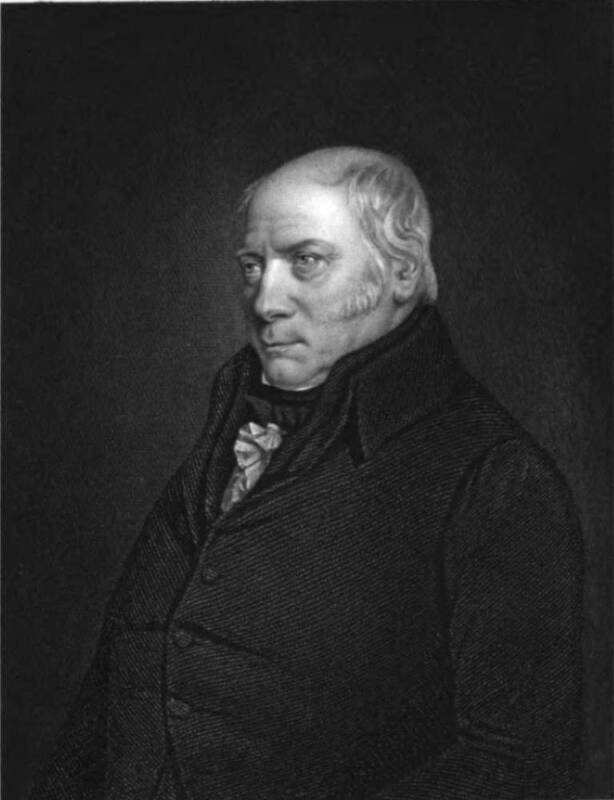 Thus Smith, the father of English geology, began his life in an English rural setting leavened by his father’s one-man village industry. That rural setting existed in an England experiencing two revolutions in both of which Smith played a part: the Agricultural and the Industrial Revolution. Agrarian revolutionaries were changing English agriculture and remodelling the English countryside. ‘Turnip Townsend’, otherwise Baron in 1661, and Viscount in 1682, initiated a practice that benefited his pocket and increased productivity on his land when he introduced turnip farming on a large scale. Jethro Tull, another agricultural innovator, invented a rotating-cylinder seed drill. When he failed to complete his degree at Oxford and was forced by illness to abandon a potential career in the law, Tull toured France for his health, learning much from French agriculturalists. On his return to England, he Townsend, Tull, and others, along with the adoption of the four-crop rotation system (wheat, turnips, barley and clover) dramatically increased agricultural output. At the same time that agriculture became more productive, the landscape itself changed as workmen laid out new roads, dug canals, and landscaped country estates. Smith, who began his career as assistant to one of the foremost surveyors of the day, Edward Webb, played a role in these changes, most notably, when he assisted Webb in landscaping Warren Hastings’ country estate at Daylesford (Winchester, 59). Smith’s year of birth saw several milestones in the Industrial Revolution: Richard Arkwright created the first water-powered cotton-spinning frame, and Josiah Wedgewood opening ‘Eritrea’, his pottery making factory. Another development has particular importance to Smith’s career: Colliery owners and ironmasters doubled their production every twenty years, so Smith’s work in identifying mineral-rich strata benefited both commercial and industrial entrepreneurs. 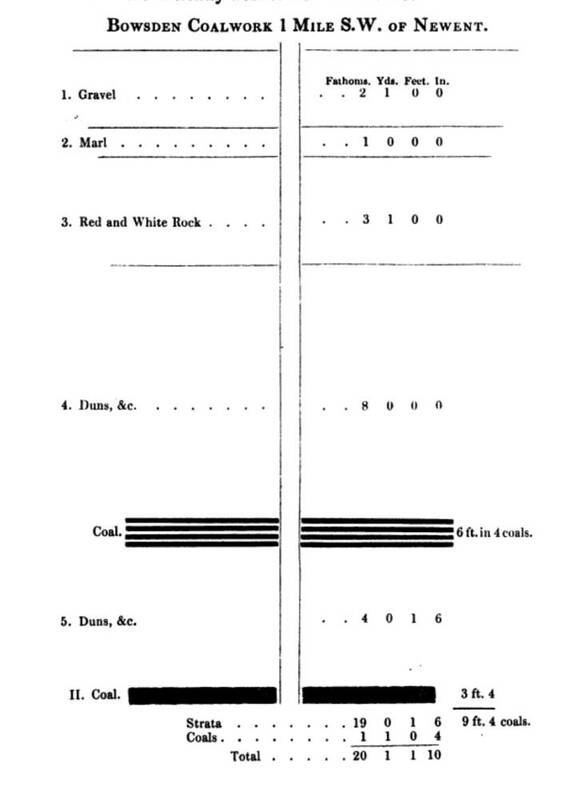 Smith had noticed how particular strata required certain identifiable conditions to develop and therefore which could be identified by the surveyors as coal-bearing. To systematize and then verify his findings, he observed, he drew, he talked to miners and discovered what they knew about the depth of coal seams and how to excavate them safely. In this he anticipated Charles Kingsley’s traveller in Glaucus. Or the Wonders of The Shore (1855) who must ‘like a knight of old, be first of all gentle and courteous, ready and able to ingratiate himself with the poor, the ignorant, and the savage…. because he knows how much invaluable local information can be only obtained from fishermen, miners, hunters, and tillers of the soil’ (197: my emphasis). Tracing the courts of springs beneath the surface, will show the best methods of draining and improving land; and the collecting of water from those natural subterraneous reservoirs, the caverns of hills and joints of rocks, for the supply of canals. Smith’s meticulous field-work led to the creation of his famous map of geological strata. 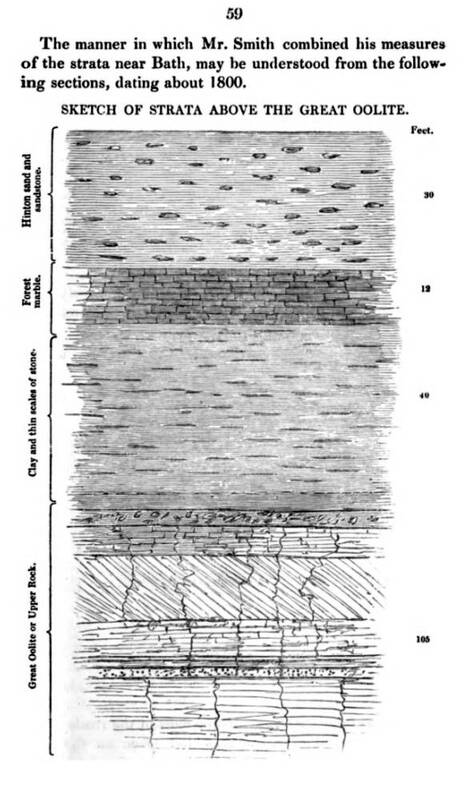 While surveying the Shropshire Canal tunnels, he began to note which strata contained fossils and the levels at which they were to be found. When he concluded that fossil-bearing rocks had uniform qualities that always appeared at the same depths (McIvor, p. 136), he placed the newly developing science of geology on a systematic basis, something that Sedgwick recognised when his 1831 address to the Geological Society declared that Smith had observed that ‘particular species of fossils’ occurred in ‘particular groups of strata, and in no others’. According to the authoritative Sedgwick, President of the Society, identifying strata by their fossil content was ‘the master principle of our science’ (Gillispie, 83-85). Appropriately, Sedwick made these observations on the Society’s honoured Smith with the highly prestigious Wollaston Medal. 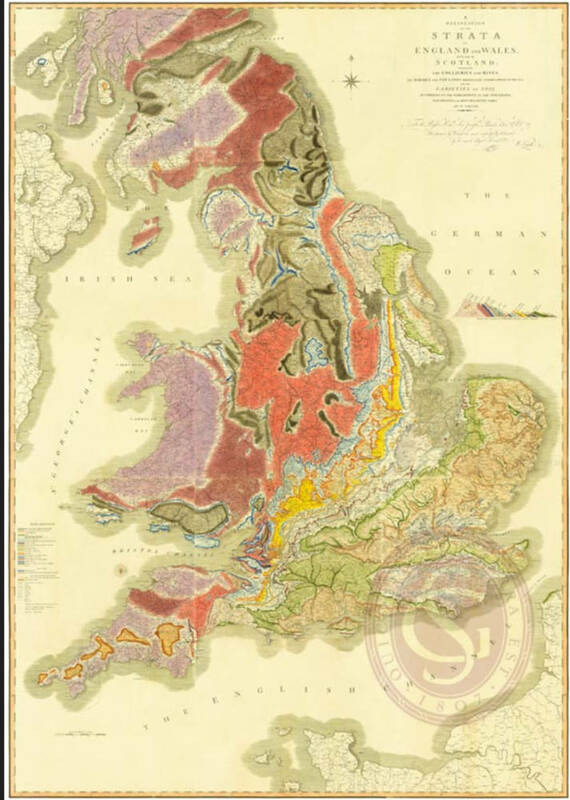 The Society thus acknowledged the significance of the map that Smith had unveiled in 1815, which displayed ‘his important discoveries respecting the general laws of nature in the arrangement and external signs of under-strata’. Smith grandly titled this culmination of his strenuous fieldwork ‘A Delineation of The Strata of England and Wales with part of Scotland, exhibiting the Collieries and the Mines: the Marshes and the Fen Lands originally Overflowed by the Sea; and the Varieties of Soil in the Sub Strata; illustrated by the Most Descriptive Names’. This sumptuously coloured map proved of the utmost importance in the British Industrial Revolution, which relied so heavily upon the coal and coke that fueled its engines and furnaces. Smith’s map guided Victorian surveyors to the much sought-after coal deposits, for like the fictional map which leads Quatermain’s party to the riches of the mythical King Solomon’s Mines in H. Rider Haggard’s novel, Smith’s spectacularly presented map led men to their fortunes in iron, tin, platinum, silver, and, above all, in oil, diamonds, and coal. It helped Victorians like Kingsley partially to realise their dream of controlling the whole of the natural world. 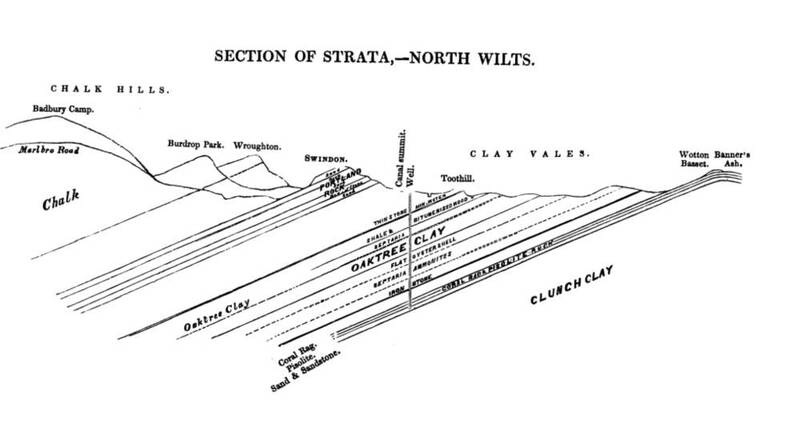 Smith’s diagram of geological strata in North Wiltshire. Gillispie, Charles. Genesis and Geology: A study in the relations of scientific thought, natural theology and social opinion in Great Britain 1790-1830. Cambridge: Harvard University Press, 1969. Kingsley, Charles. Glaucus. Or the Wonders of The Shore. 2 vols. London. J. W. Parker & Son, 1859. Philips, John. 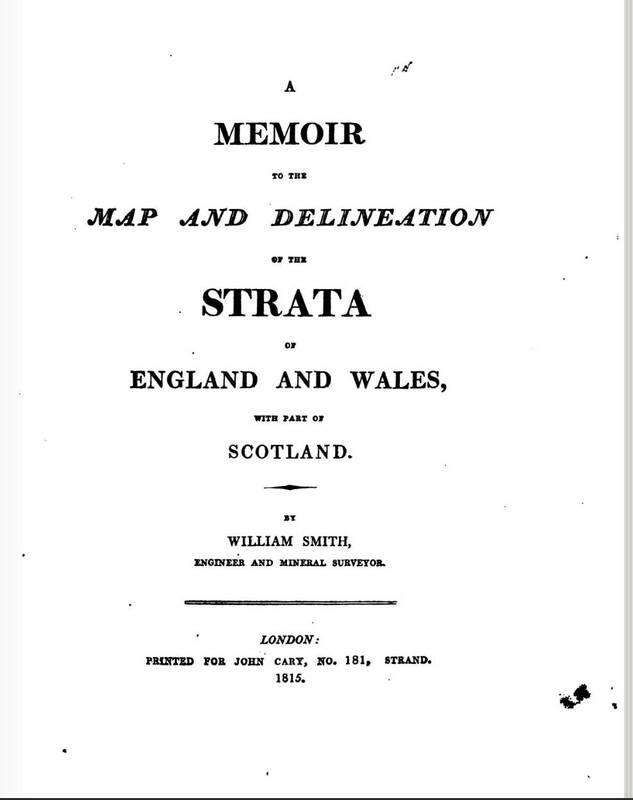 Memoirs of William Smith, LL.D., Author of the “Map of the Strata and Wales. London: John Murray, 1844. Smith, William. A Memoir to the Map and Delineation of Strata of England and Wales. London: John Cary, 1815. Torrens, Hugh. 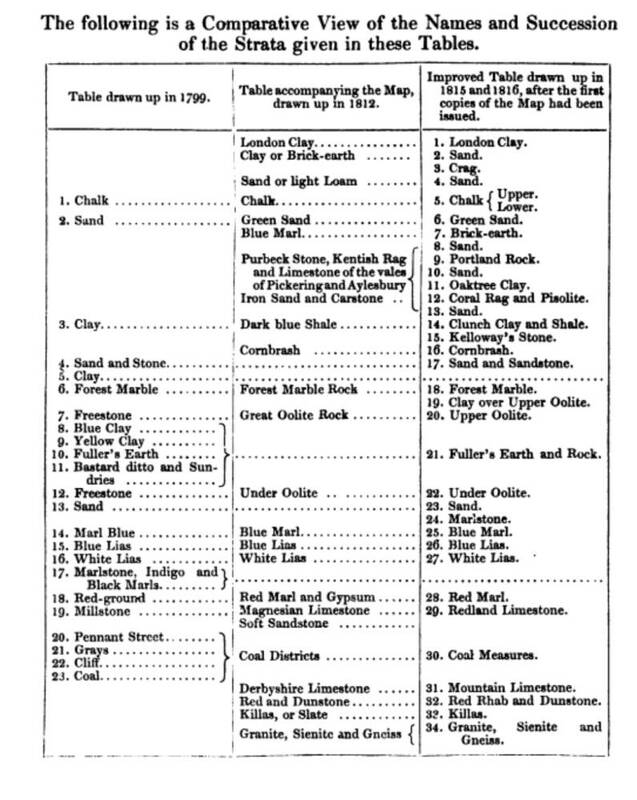 ‘Geological Communication in the Bath area in the last half of the eighteenth century’ in Jordanova, L. J. and R.S. Porter. Images of the Earth Buckinghamshire: England: British Society for the History of Science, 1981. Winchester, Simon. The Map That Changed The World London: The Viking Press, 2001.